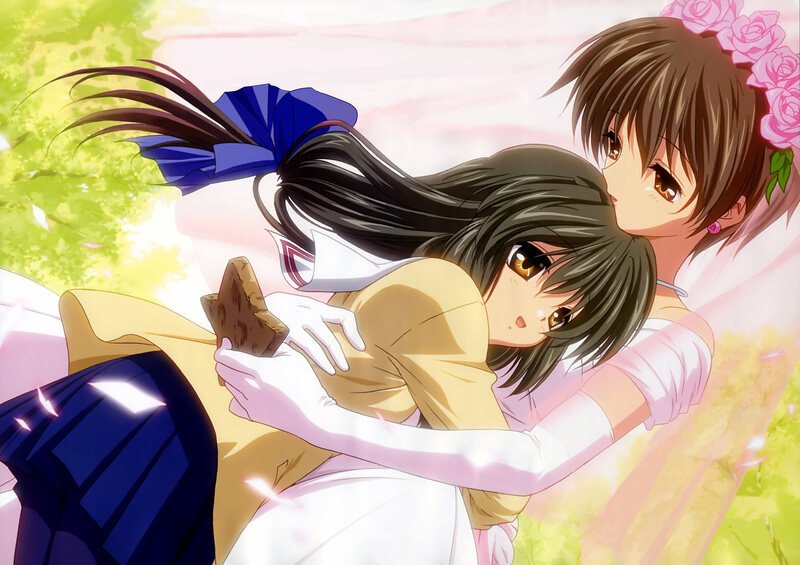 Features Ibuki Fuuko and Ibuki Kouko from Clannad. sorry but my english is not very good. Esta escena es muy conmovedora, realizaste un gran gran trabajo en el scan. who is the one in the wedding dress? I hope is not a guy doing cosplay. is ok if your english is not good as long as you try, thats what matters. By the way I would marry that woman anytime. I love it. Great scan! Fuuko and her older sister. Beautiful scan, thanks for sharing. I loved that part in the anime! This was one of the few anime scenes that actually made me cry while watching it. episode 9 of CLANNAD was the first time an anime really made me weep. WOW ! I love this anime! Thanks for posting this!